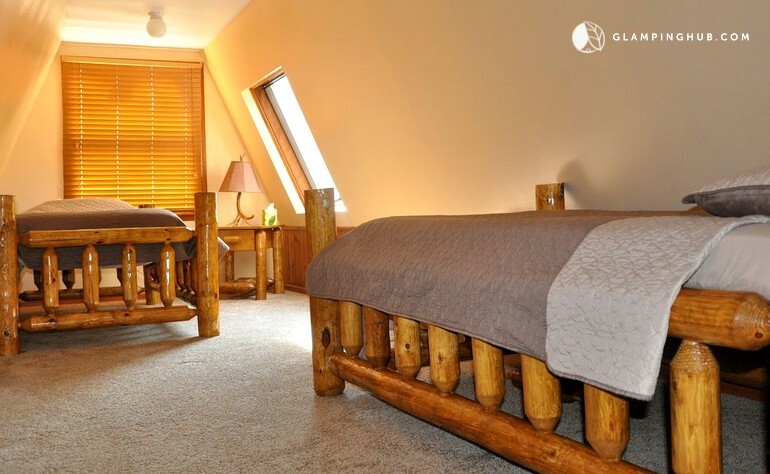 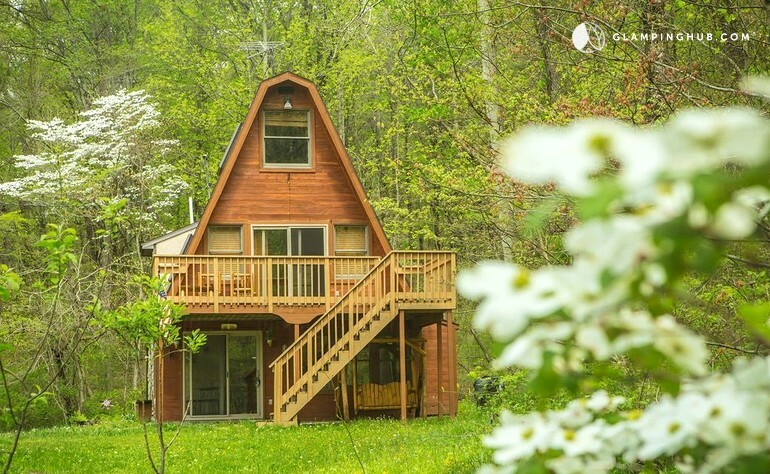 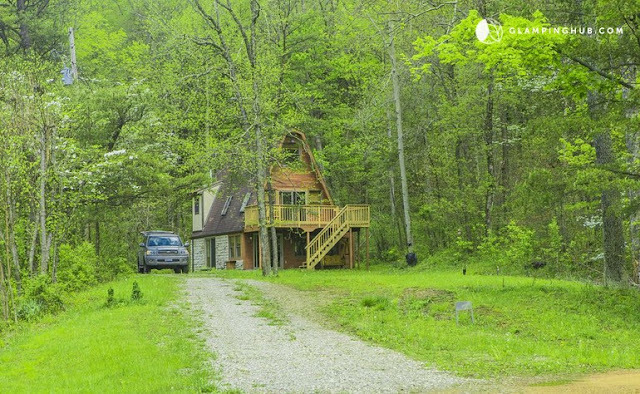 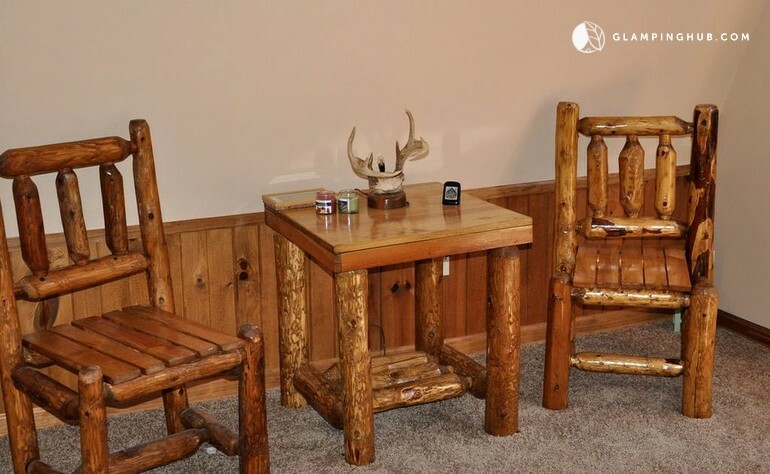 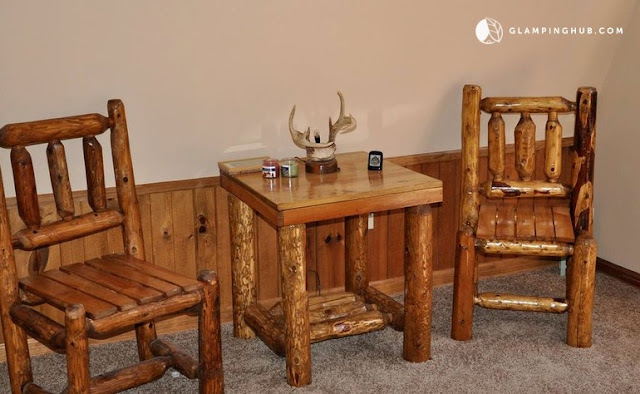 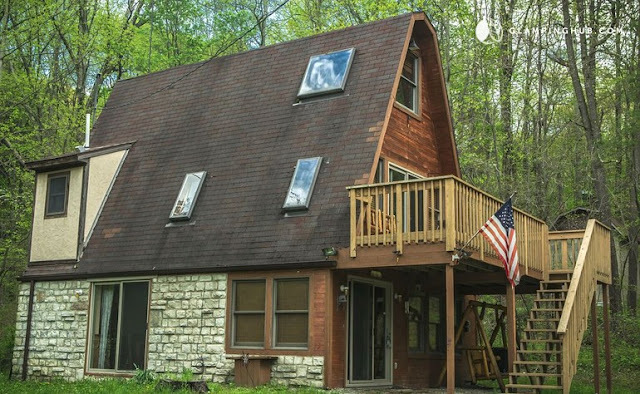 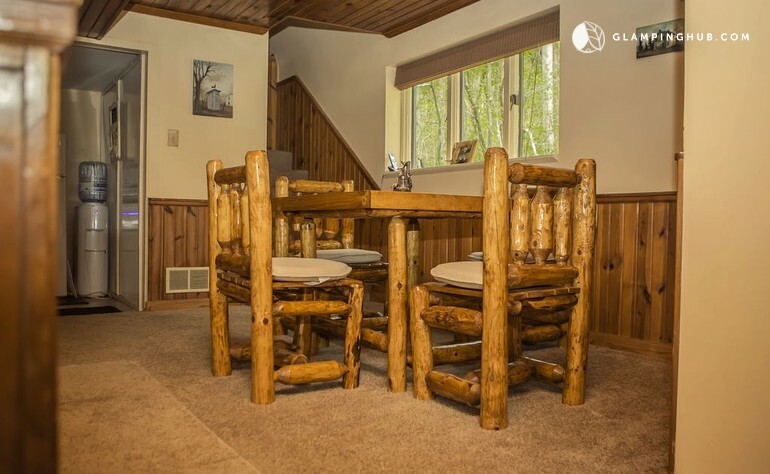 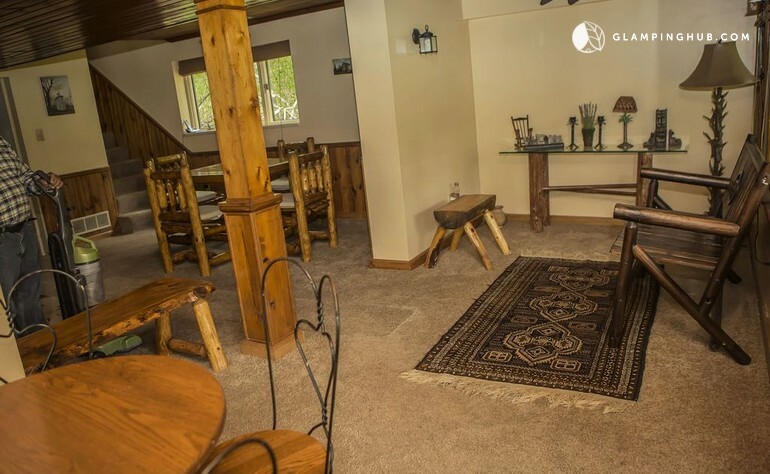 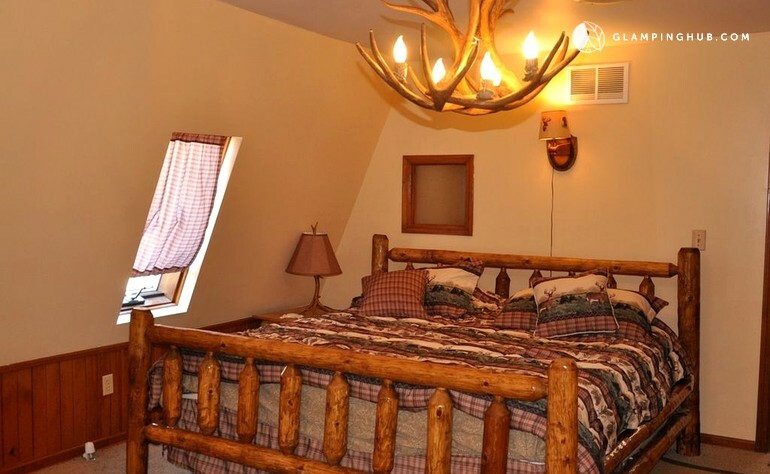 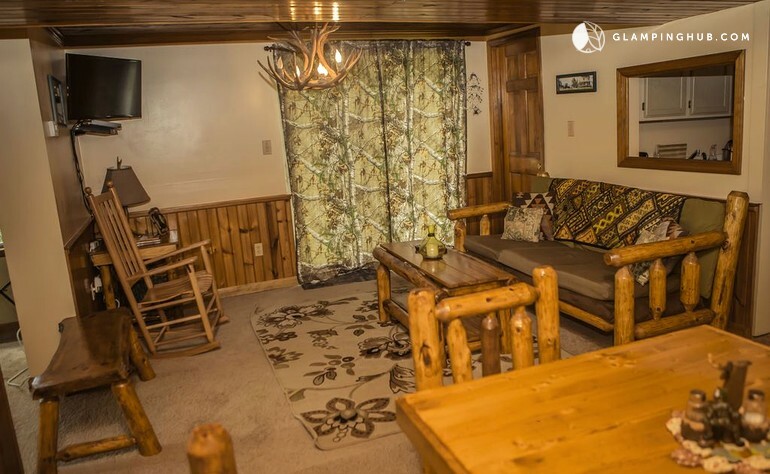 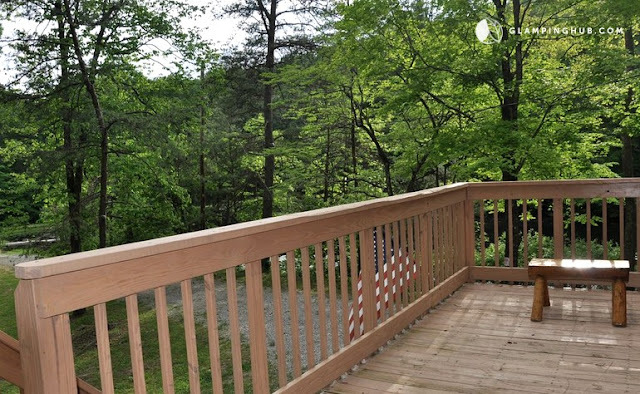 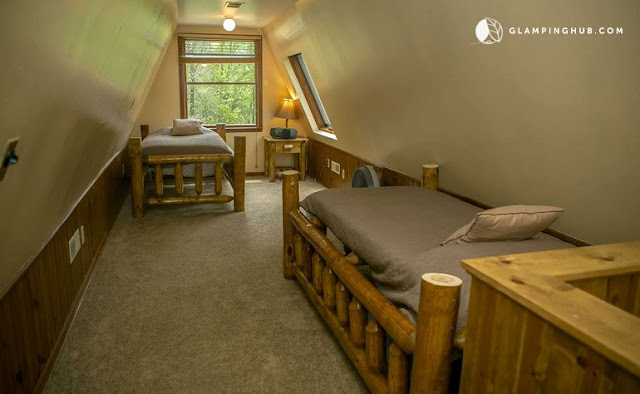 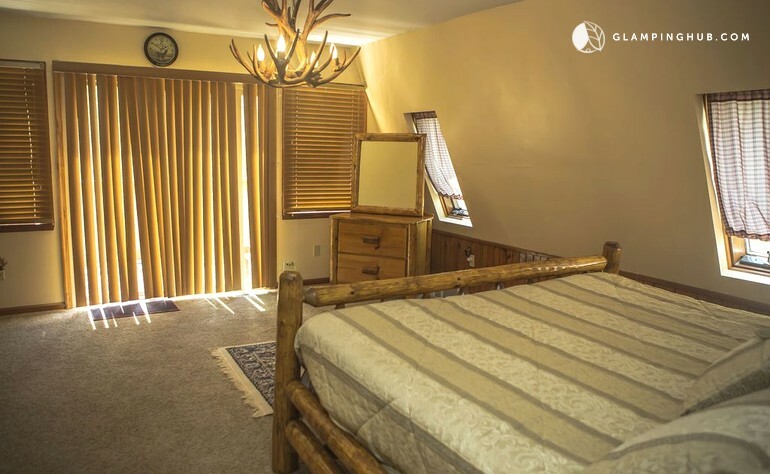 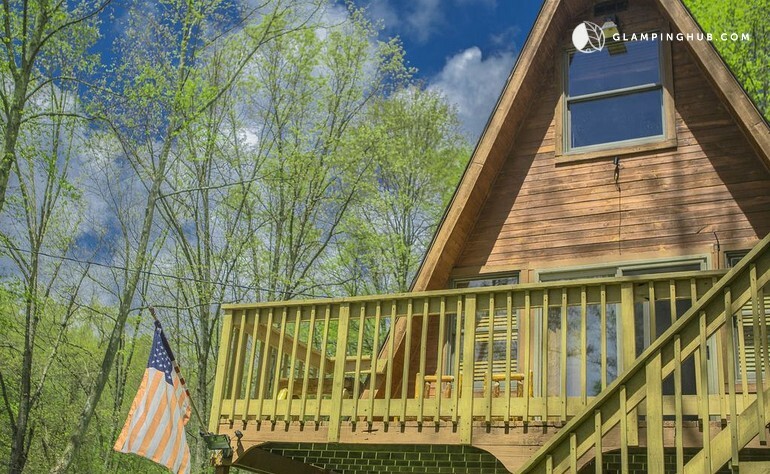 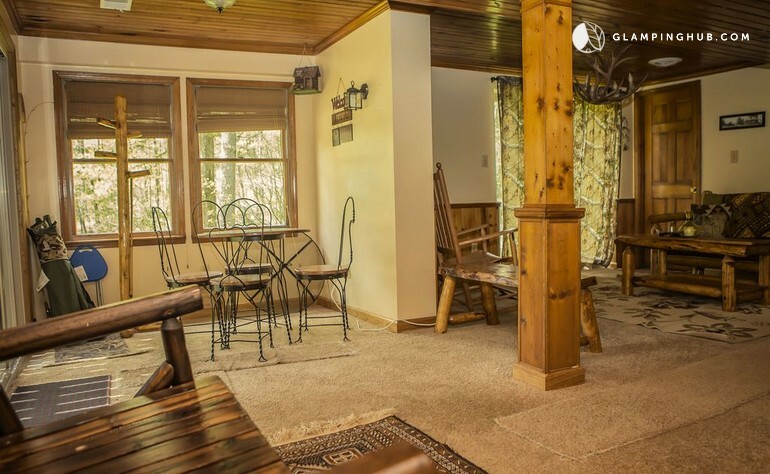 This comfy three-story cabin is available for rent in Laurelville, Ohio. 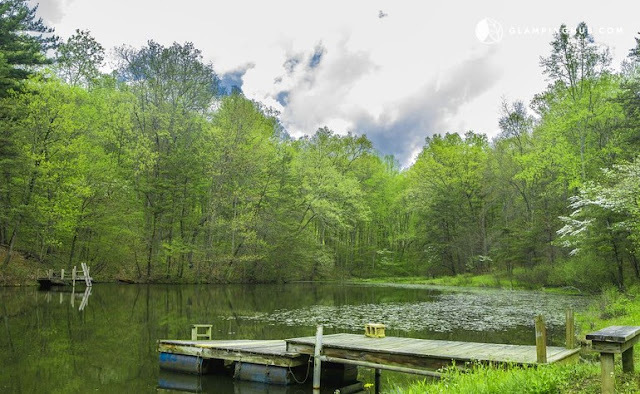 It has room for up to five people and is close to Hocking Hills State Park! 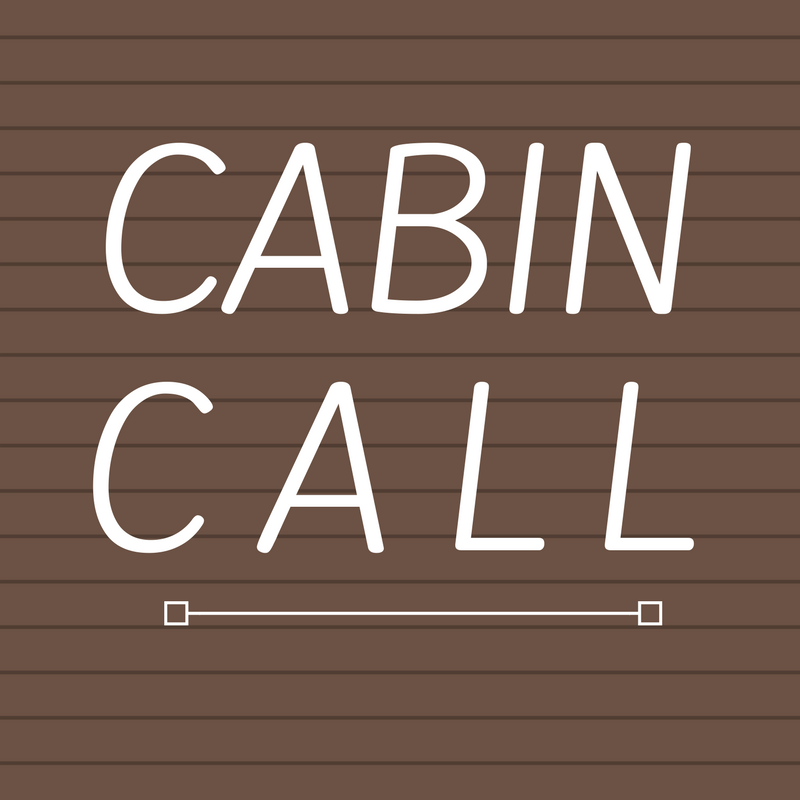 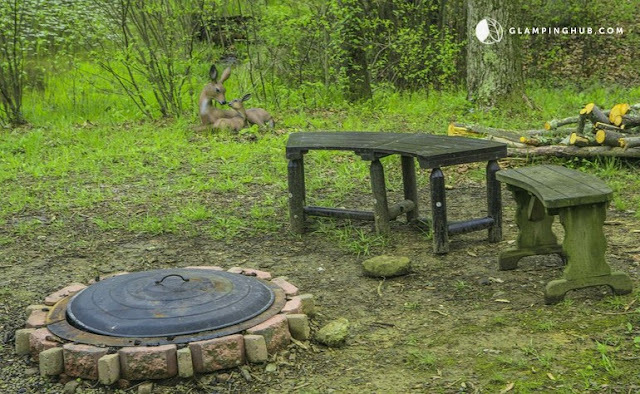 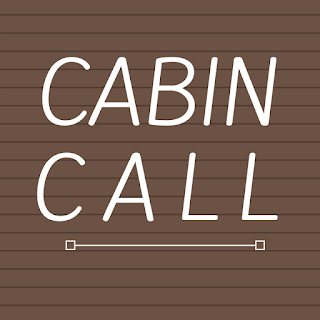 The cabin is currently available for rent here on Glamping Hub for $181.90 a night!